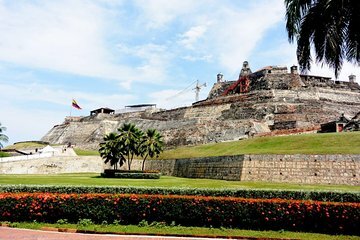 Discover Cartagena’s major sightseeing spots on this guided tour. Travel in an air-conditioned vehicle, stopping at the convent of La Candelaria, which is located on top of La Popa Hill, for panoramic views, plus the San Felipe Fortress, popular neighborhoods, parks, and public squares. Also, enjoy free time to shop.